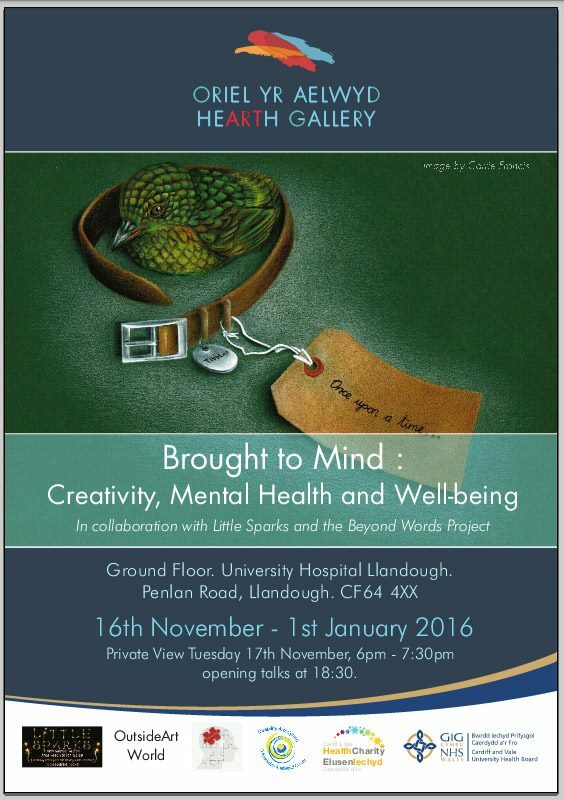 Two of my pieces will be on show at the HeARTh gallery, Llandough Hospital until January 1st. 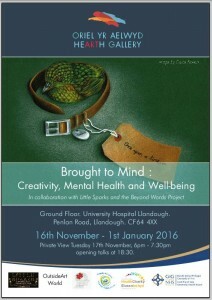 The exhibition, in collaboration with Little Sparks and the Beyond Words Project, is the second in the new gallery space within the hospital. If you do go, while you’re there pop into the courtyard just outside the gallery to visit my Believe Tree.